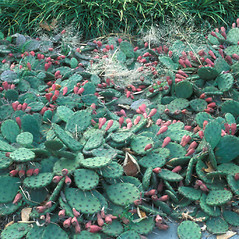 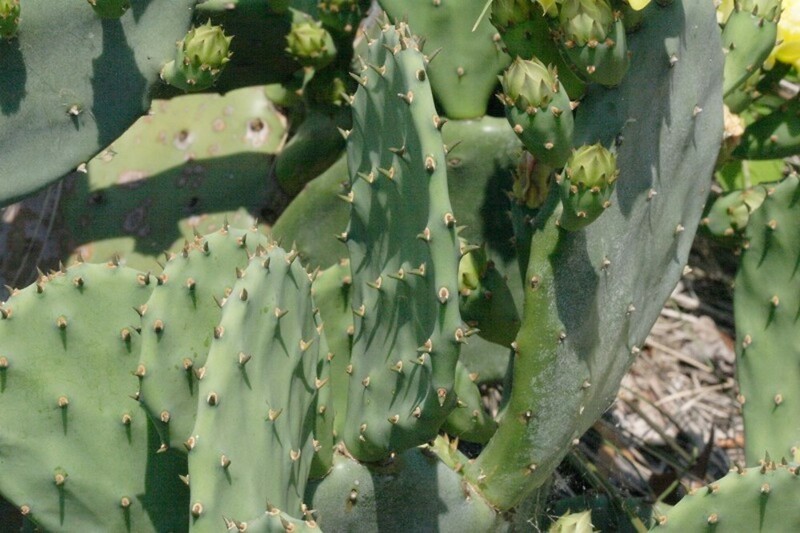 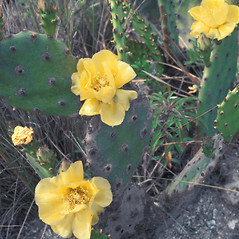 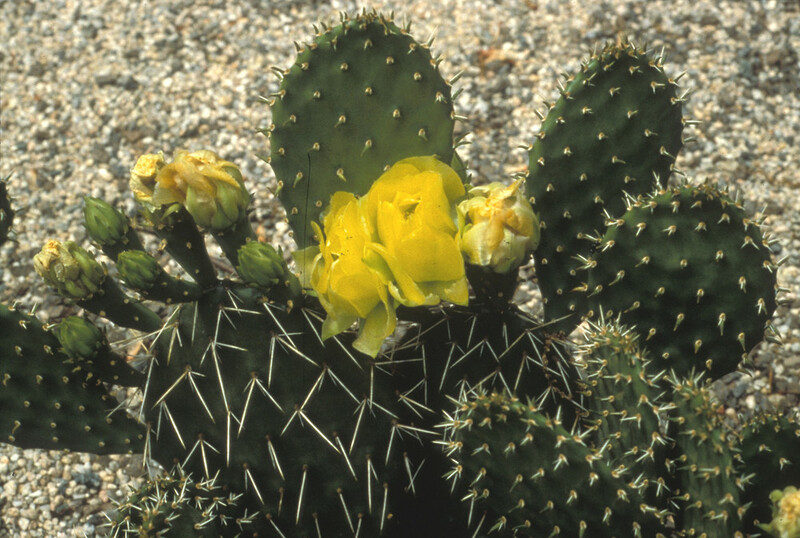 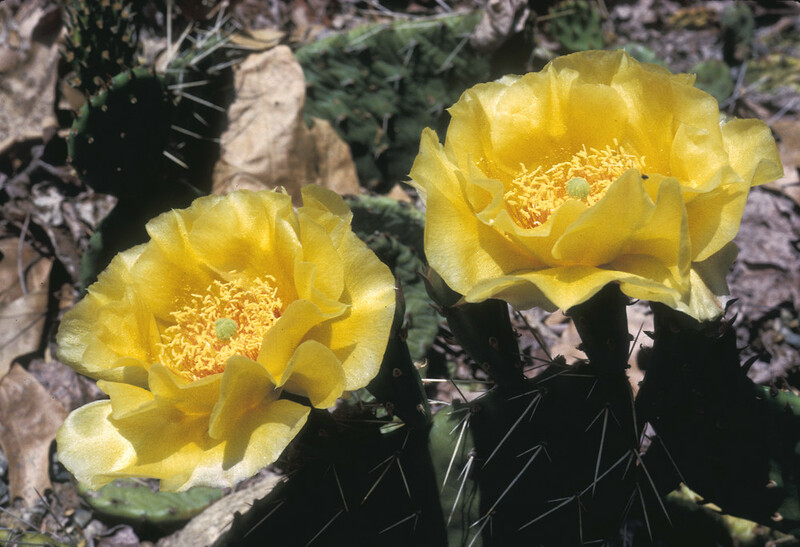 Eastern prickly-pear is New England's only native cactus, found in sandy habitats along the Atlantic coast in Connecticut, Massachusetts and Rhode Island. 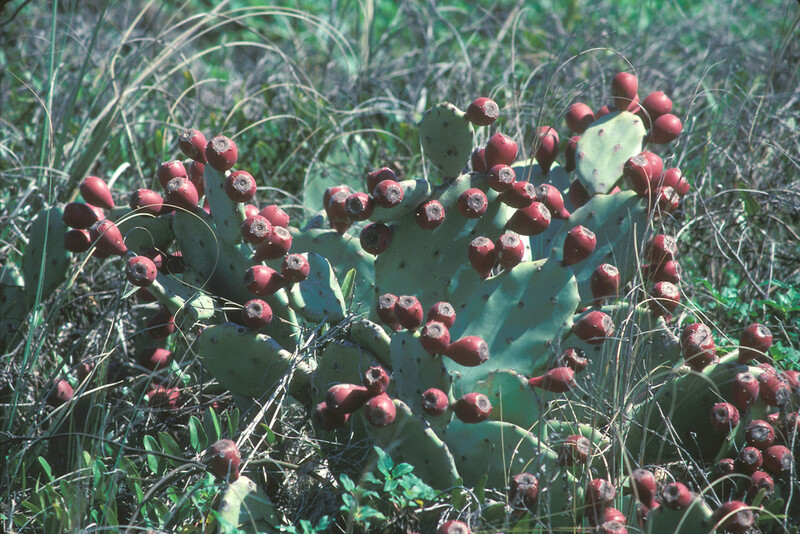 Its North American distribution includes many sandy habitats inland, including sandhill prairie, shortgrass prairie and Texas savanna, among others. 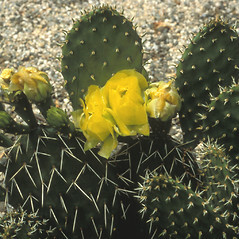 It has also been collected inland in Middlesex County, Massachusetts, but it is considered to be introduced there. 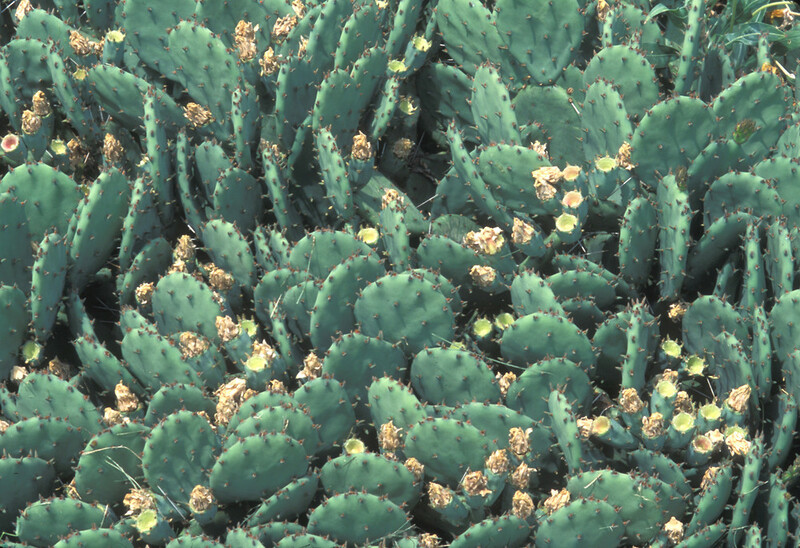 cladodes strongly glaucus-green when developing, inner tepals with pink to dark-red coloration at the base, and spines present, 1.5–4.3 cm long (vs. O. humifusa, with cladodes not glaucous, inner tepals entirely yellow, and spines absent). 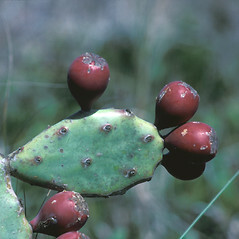 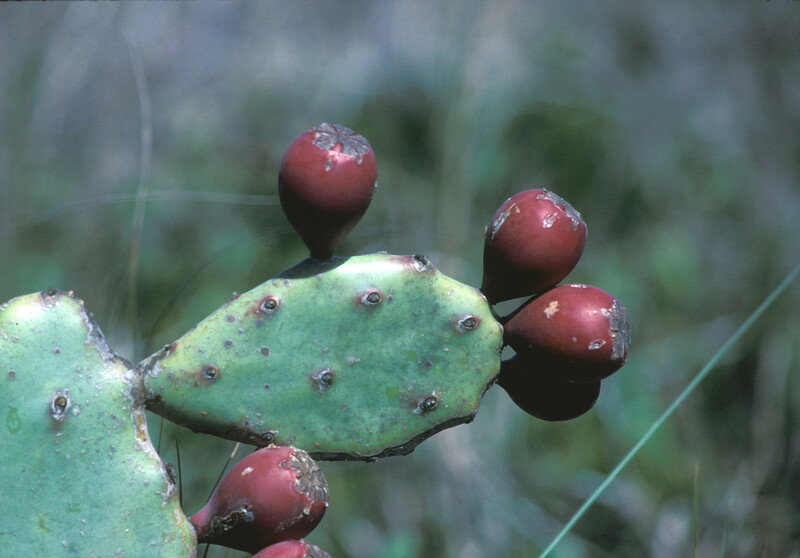 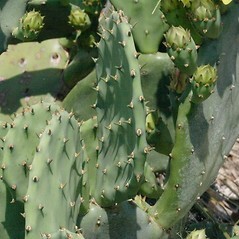 eastern prickly-pear. 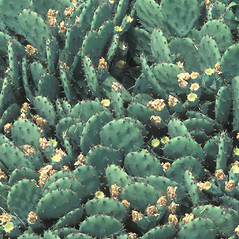 Cactus humifusus Raf. 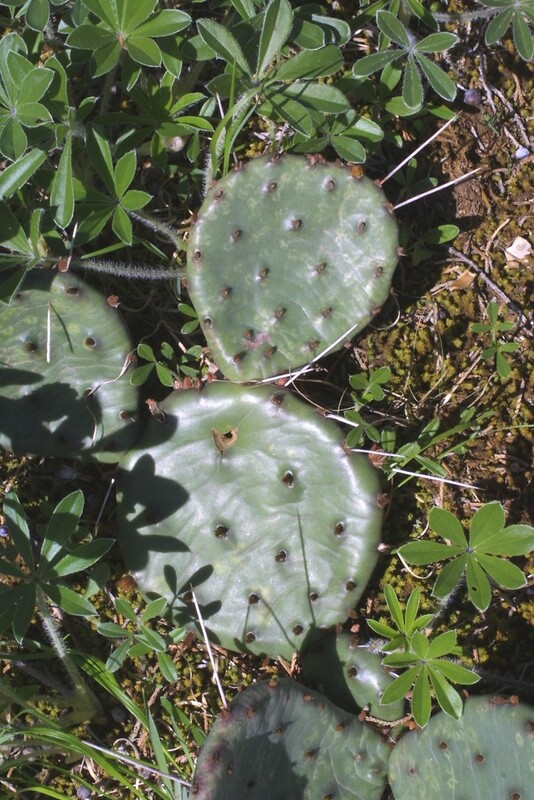 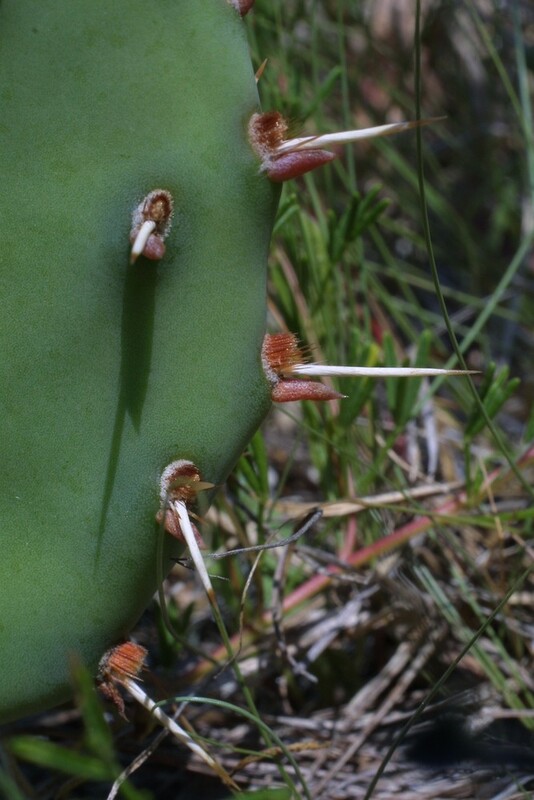 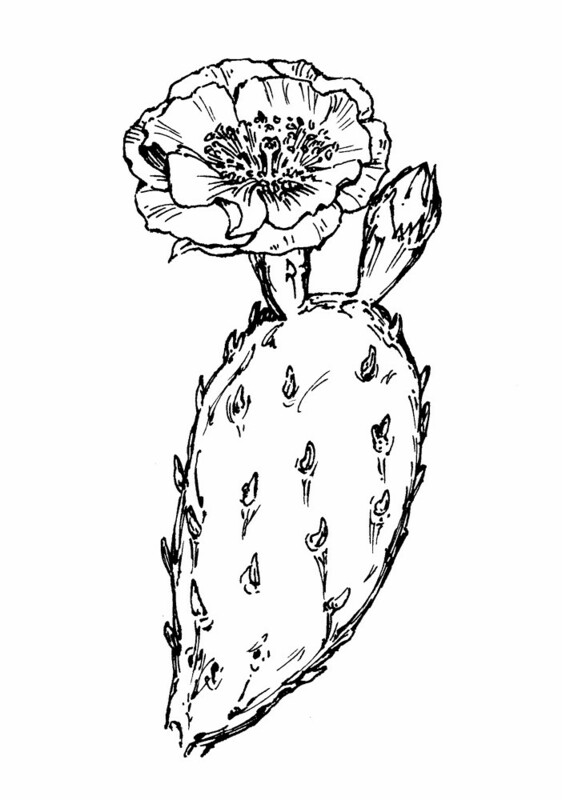 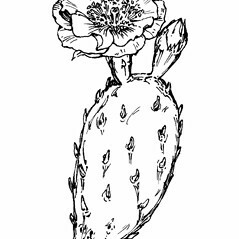 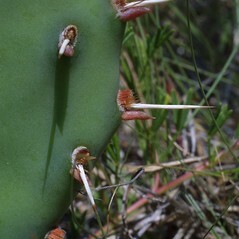 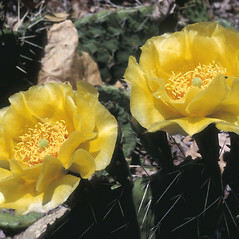 ; Opuntia ammophila Small; O. calcicola Wherry; O. compressa J.F. 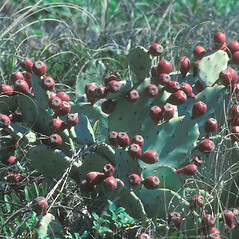 Macbr. 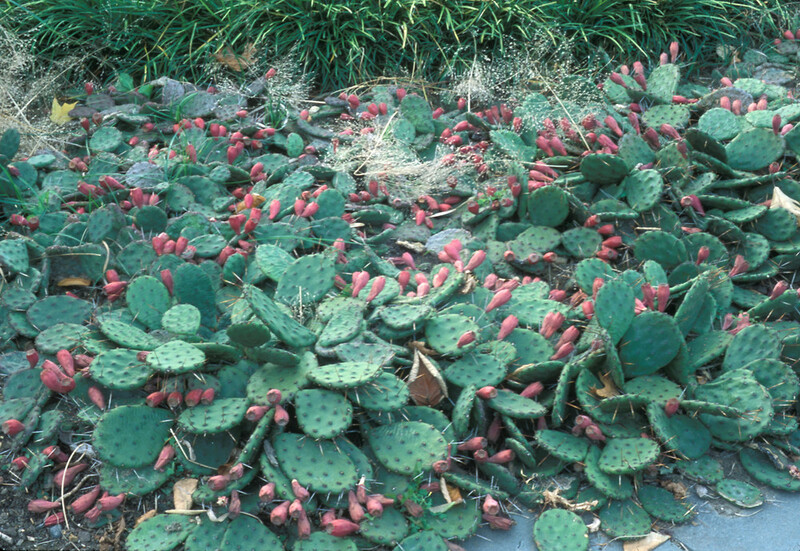 • CT, MA, RI; mainly along the coastal plain. 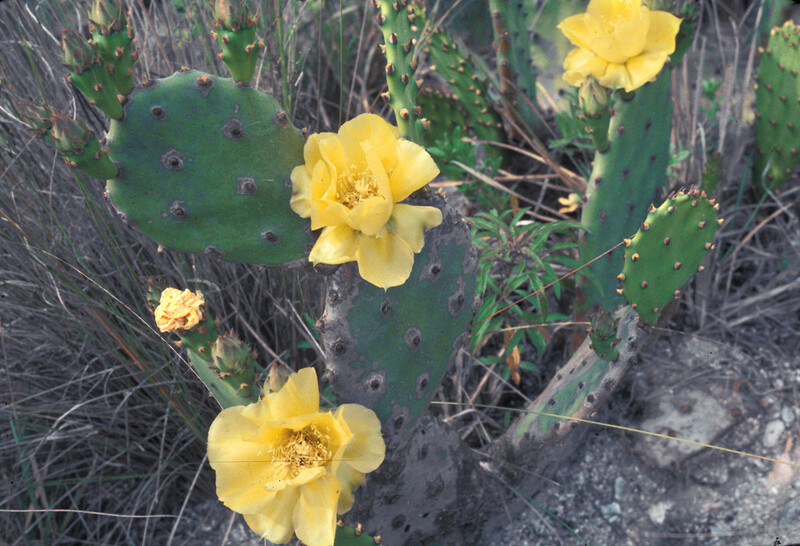 Dry fields, ledges, Atlantic coast dunes and beaches. 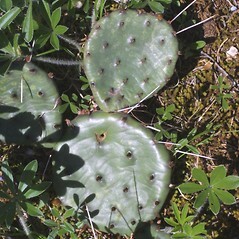 Introduced to Middlesex County, MA.